I rather like Sussex. It's got good coastal resorts and fine towns. One of my earliest memories is of trip to Brighton for the London to Brighton car rally, a good day as I recall. A trip to Rye was always part of the family holiday as was another to Camber Sands. In more recent times trips to Worthing and Brighton itself, usually for the comedy club, have been frequent events. Football related trips have involved Lewes F.C. and watching them at the magnificent Dripping Pan ground. There you can take in the football whilst having a lovely pint of Harveys on the terraces. Last year I saw Sussex play the Aussies at Hove over a long weekend and it was rather splendid. I'd recommend a visit to Lewes if you're going on Saturday and head for the Gardeners in order to quaff a few pints of the aforementioned Harveys. Saturdays offers up another tough game not least because it isn't Tuesday ! 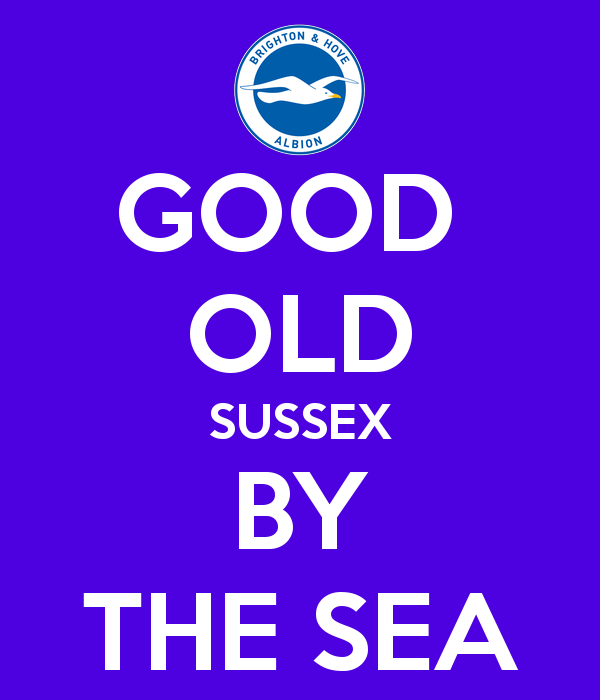 Brighton have just convincingly beaten the Champions elect away and are pushing for a place in the play-offs. The Seagulls count one Dale Stephens amongst their number following his move during the transfer window. Despite the fact that I don't feel he's been greatly missed you can safely assume that he'll score. Our last Saturday game saw Jose shuffle the pack a little with an eye on the Yeovil game I believe. I'd like to think he'll resist the temptation to do so again however loud Church's somewhat vacuous complaints are. We do need to win on Tuesday and yes, to a degree it is more important, vital even that we win that one. However, I feel we ought to try and get what we can from this match. A point would be great and anything above that, out of this world. Morrison is about as much a full back as I am a tee-total vegetarian and I trust that we won't find him in the right back berth again. He should be reunited with Dervite in central defence and almost anyone else should be there, possibly Wilson with a mask if he is able to play as such. Good luck to all travelling, have a great day and I hope you are rewarded with a good game and a point or three.